Green Bean seeds like warm soil and a full sun location. Don’t plant any seeds until all danger of frost has passed and the soil temperature remains above 65 degrees. Some garden experts say you’ll get the best results and overall healthier plants if you wait until the soil is at least 70°F. Some gardeners start bean seeds indoors. You can do this if you can provide the seeds the necessary warmth and light. Using peat pots you can start green bean seeds about 4-6 weeks before the last threat of frost for your area. 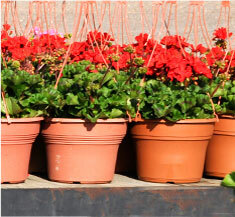 Following the above rule for soil temperature the seedlings can be planted outdoors when they reach a height of 4 inches. Green beans also like well-drained and fertile soil. 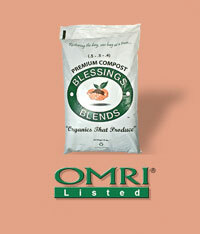 Add Blessings Blends OMRI-Listed Premium Compost (.5-.5-.4) The soil pH should be between 6.0 and 6.8.